Guess who I met yesterday at Somerville Road Elementary School? A bunch a great kids, librarian-extraordinaire Sally Savas, so many enthusiastic teachers ... and Darth Vader! What To Say about Selah? Hello and welcome to Spiritual Journey Thursday! Today we are discussing Michelle Haseltine's word "Selah." 4. might be a word used for emphasis, similar to "Amen"
5. might mean something like "so let it be done"
6. might simply be a word that means "pause"
So, thank you, Michelle, for expanding my vocabulary! 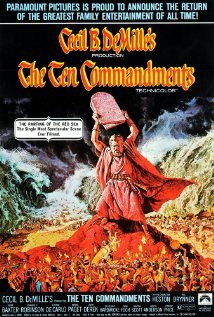 I have this memory of watching the Charelton Heston movie THE TEN COMMANDMENTS over and over again with my siblings, and one of the repeating lines in that movie is "So let it be written, so let it be done." I know because my brother l still loves to repeat that line. :) In the movie it was what the scribes would say whenever Rameses put forth an order. It always sounded very formal and definite and certainly indicated action, though usually of a negative variety! In my own life I have certainly experienced times when I needed to pause, think, not rush into action. But then there are the decisive times, the times when it's been time to DO instead of TALK or merely THINK about doing. This often comes up in the creative life, doesn't it? How many times have I talked to a writer at a conference, and they tell me their wonderful ideas, and the next year, when I see them at the conference, they are still just talking (and not writing)? I find this so frustrating, especially as I realize it is related to fear. As long as one is just TALKING, there is no risk, no one to criticize, no failure. I get it. It is So. Hard. To Fail. I put up road blocks to my writing, too. Writing is hard and scary. Which makes this a great word for writers: Selah. So let it be done. 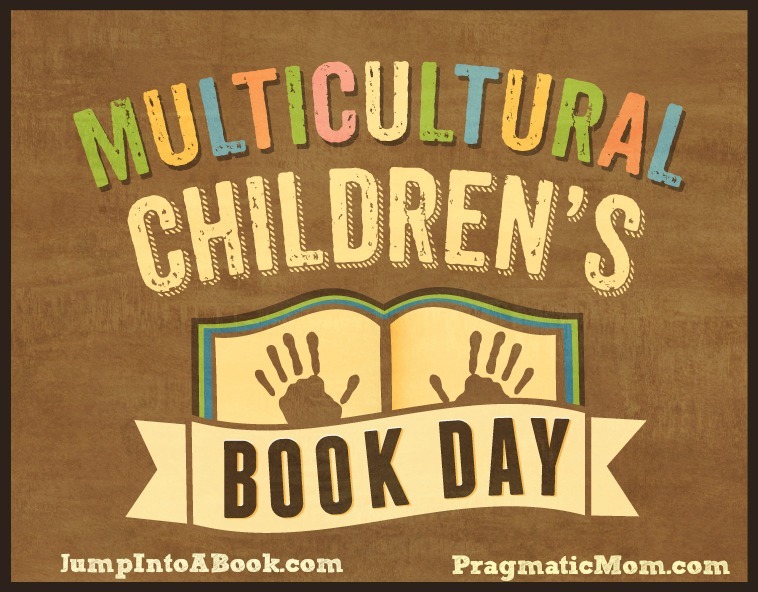 #ReadYourWorld: Multicultural Children's Book Day is here! Hello and Happy Multicultural Children's Book Day! 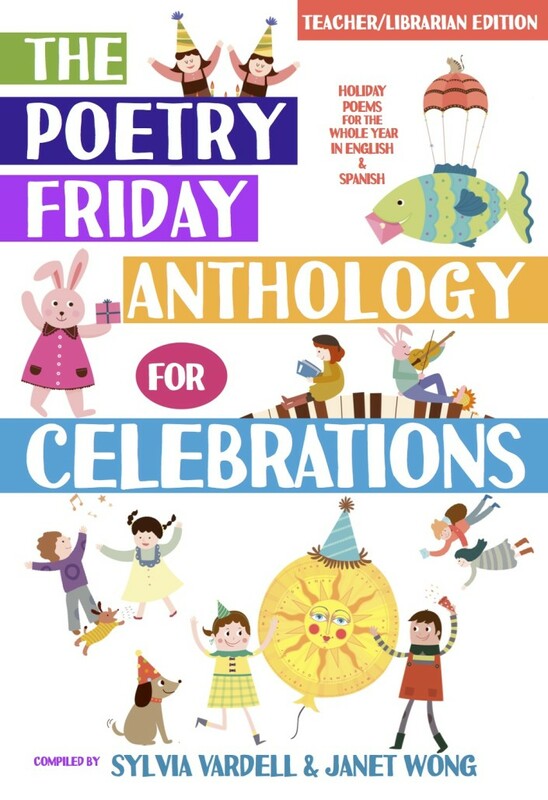 For the second year in a row I signed up to feature on my blog a review of a multicultural children's book FRIDAY ANTHOLOGY FOR CELEBRATIONS! compiled by Sylvia Vardell and Janet Wong. Check it out! And be sure to visit to website to read about all the other wonderful multicultural books just waiting for readers like you! Let the Gee's Bend Fun Begin! 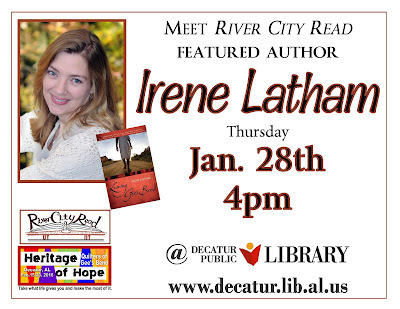 This week I am visiting Decatur, Alabama, where LEAVING GEE'S BEND is their "River City Read." The best part is that the quilts are on display through March 5 at Carnegie Visual Art Center and four of the quilters -- Mary Ann Pettway, China Pettway, Lucy Witherspoon & Gloria Hopkins will be in residence from Feb. 12 - Feb. 21! Full report coming next week! Today for Spiritual Journey Thursday we are discussing Margaret's OLW "Present." Please join us! How many times have I been working at my computer, and my husband walks by, speaks to me, and I respond, but don't look up, don't see him? That's me, not being present. How many times have I taken a shower and been so caught up in my thinking world that I didn't feel the suds on the fingers or smell the shampoo? Yep, me, not really being there. How many times have I, in my effort to get things done quickly and efficiently, cooked AND listened to an audio book AND helped a child with homework, all at the same time? Again, that's me not listening to the book or to my child, or to the knife slicing through the onion, not feeling the rubbery surface of the cutting board or marveling at the sizzle as the onions hit the hot bottom of the pan. The biggest thing that keeps me from being present in my life is ME. My mind just takes off and Will. Not. Stop. Part of this is a result of the family disease of alcoholism, which taught me, from a very early age, that I HAD to think in order to survive, I had to do whatever I could to control my surroundings, I had to stay one step ahead of everyone else. 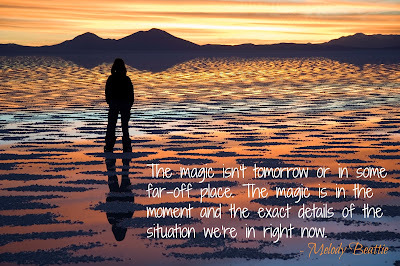 Another reason is the dreamer in me -- how many times have I been focused on the past (often reliving or replaying mistakes and missteps) or so, so often, worrying about the future? I haven't always liked my "present." This way of life made me crazy, and it hardly ever worked the way I wanted it to, so my answer was to think even longer and harder! Talk about EXHAUSTING. What a relief to learn that I am powerless over people, places, and things, and I can leave all those worries/thoughts/dreams/etc. to a higher power. This has given me a whole lot more time to be present in my life. And a lot more reason to love my life just as it is. It's true that such a lifelong habit is a hard one to break! But here's the good news: just like the body can be trained to run a marathon, the mind, too, can be trained. For the past year I have subscribed to HEADSPACE, and I absolutely love it. It's a meditation app, and I use it right on my phone. I've learned to imagine my mind as a blue sky -- and my thoughts as clouds that sometimes go racing by and cover up the blue, but the blue is always always there. And with practice, I am finding that blue sky a lot more easily and a lot more often. AND, even better news, I have been able to translate this to my daily life. I am much better now at showing up for my own life. Not all the time, but that's okay: Progress not perfection! 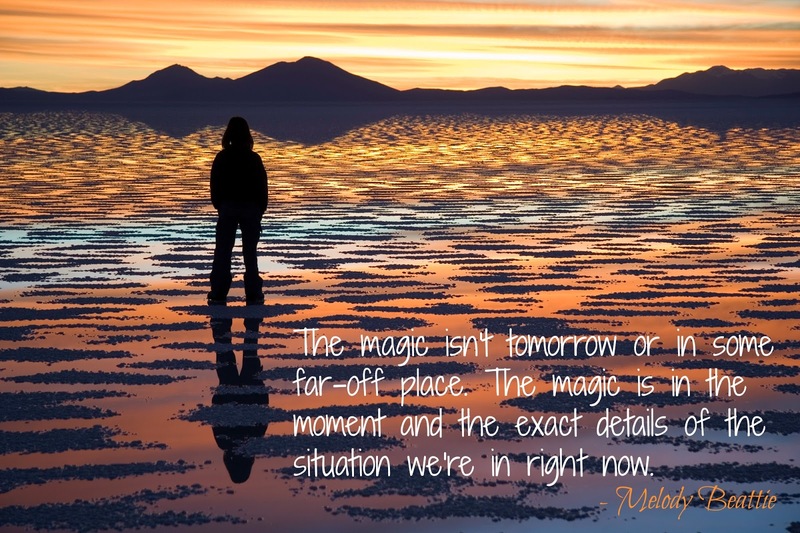 Now I recognize that being present is a way to express my gratitude for the life I've been given. 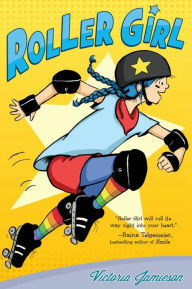 I've just finished ROLLER GIRL by Victoria Jamieson. 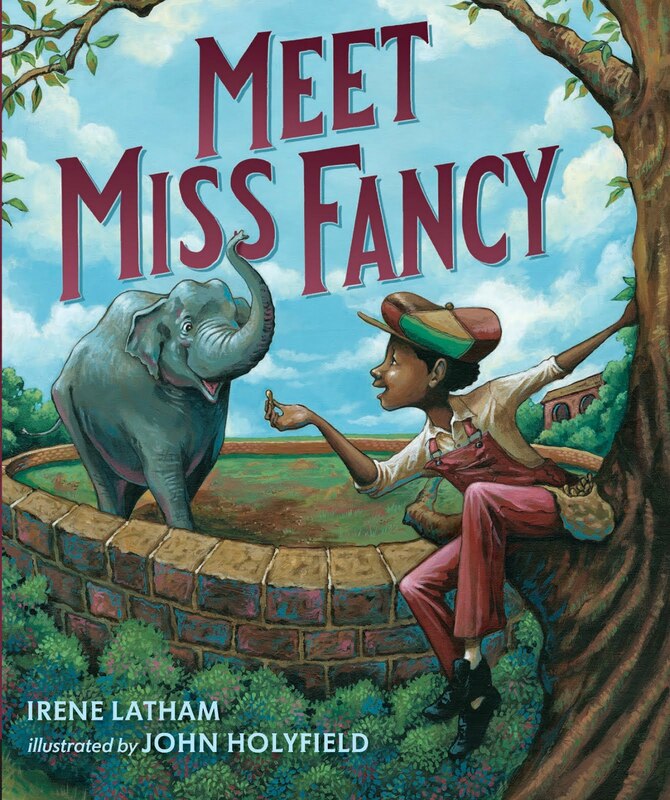 I totally get why it won a Newbery Honor. I laughed, I cried... I loved how BIG Astrid's emotions were and how real her friendship struggles felt. Also, some great mother-daughter moments and a nice messages about teamwork (vs. individual glory) tucked inside. Read it! You won't be sorry. 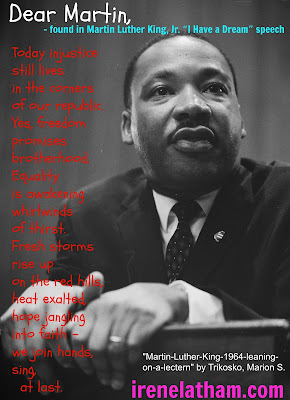 Poem for Martin Luther King, Jr. I wrote this poem last year for MLK day. View the original post here. Also, here is a link to a post about my favorite MLK movie so far: SELMA. Thinking of MLK today and all his good works -- and all we've yet to accomplish in terms of equality and the end of systemic racism. 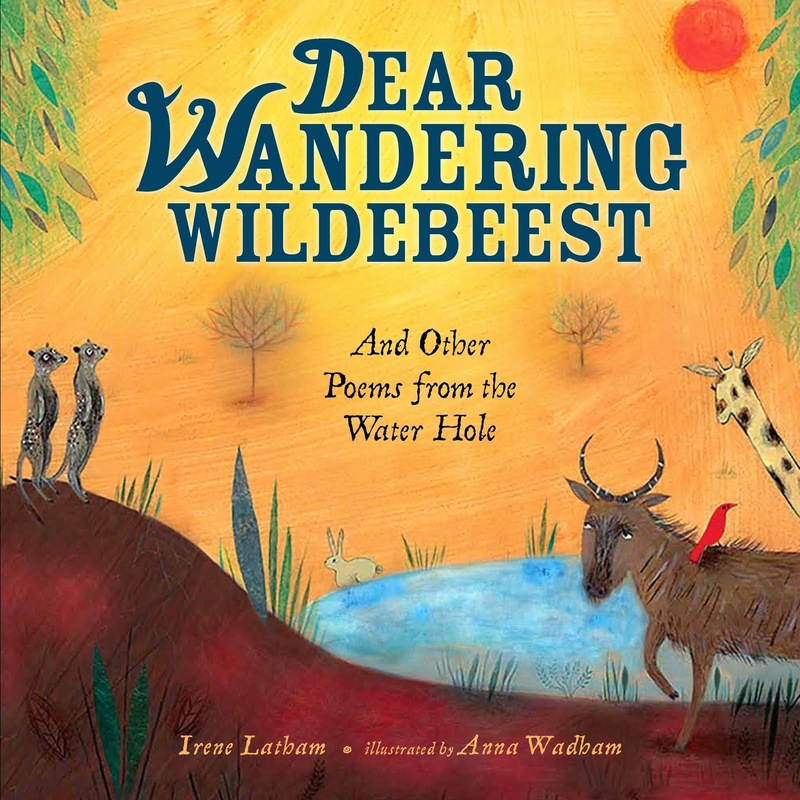 Hello, and Happy Poetry Friday! Be sure to visit for our resident beekeeper-poet at Keri Recommends for Roundup. a card signed by all 300 + students who attended the assembly! the whole crew, ready to get on with things! And now a poem I love, from a book I featured before (and will feature again! ): A CHILD'S CALENDAR by John Updike, illus. 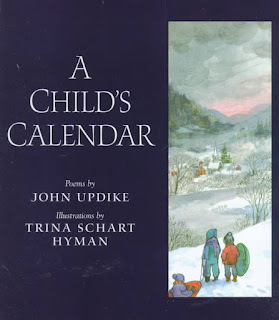 by Trina Schart Hyman. Finally, I invite you to read my Spiritual Thursday post which includes an original poem "I Could Say I Believe in the Ocean." Wishing everyone a warm, happy weekend! Today for Spiritual Journey Thursday we are sharing about Carol's One Little Word BELIEVE. Be sure to visit Holly for links from other pilgrims! "Believe," for me, is an essential word. I think I have spent a good deal of my life thinking about what I believe instead of just believing. Every few years I write a "Creed" poem, and what I find is that what I believe is far less firmament than water -- always shifting, swirling, moving, changing. For a long time this movement bothered me. Shouldn't I know what I believe in? Shouldn't it be more permanent than that? But one has only to look at the natural world to know that change, flux, movement is the way of all living (and nonliving) things. And, going with these water-y feelings, here is a new "creed" poem. 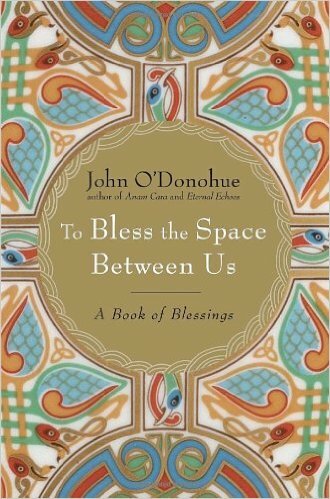 When I first read this in TO BLESS THE SPACE BETWEEN US by John O'Donohue I just had to sit still a moment and revel in the perfection of the words and wishes expressed. I need this every single morning. 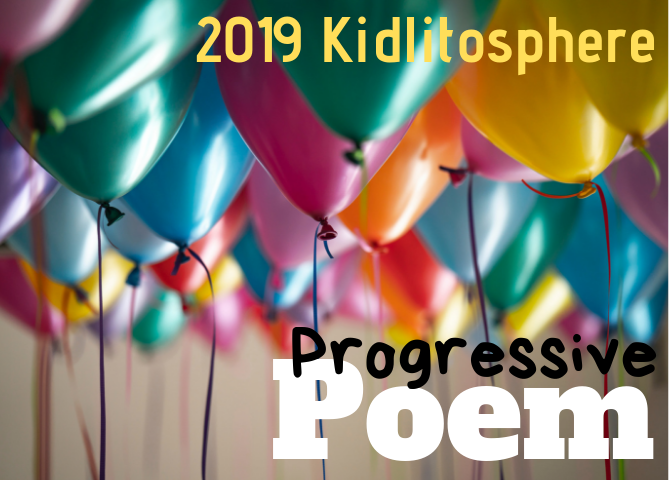 Hello and Happy Poetry Friday! Be sure to visit Tabatha at The Opposite of Indifference for Roundup. While you're there, be sure to read Tabatha's "The Old Ship" poem from last week. Love! know you are grateful.That the gift has been given. 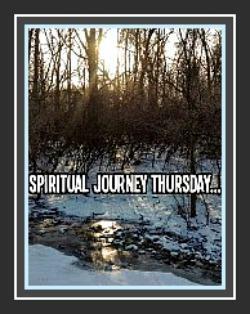 This year I am participating in Spiritual Journey Thursdays, coordinated by Holly at Reading, Teaching, Learning. Today we are all blogging about Holly's OLW for 2016: WAIT. I have a complicated relationship with waiting. I remember reading a poem once that basically said historically, it's a woman's job to wait -- while the husband goes to war or work or whatever. Why would I want to be THAT woman? 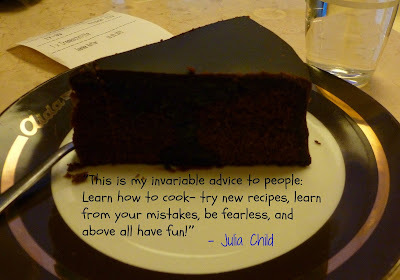 The truth is, I can be terribly impatient and impetuous, and one of the ways I deal with things in my life that I can't process, or feelings I am not ready to feel, is to dive headlong into some task, to chase after some goal, to go, do, move! This has been a valuable coping mechanism for me for many years and has helped me achieve a lot of things. But. These days I am far less interested in going/doing/moving as I am in just BEING -- being myself, being content, being present. And waiting is a part of all these things. I can wait to check my email, I can wait to respond to an invitation, I can wait and see how I feel instead of planning (obsessing!) about the future. I can sleep on it. I can pause, pray, meditate before I commit or make a decision. All of these tools are available to me and help me know myself better, and to honor that self. How often in the past have I created my own troubles by NOT waiting?! And yet, waiting is still a struggle sometimes. It feels so passive, like nothing is happening. What I' m finding is that that moment, of waiting, is exactly the place where faith enters in. And I want to be there to meet it. Thanks so much, Holly, for opening the discussion! A month or more ago, my husband told me he'd noticed I've laughed more in the past year than in all the time he's known me. Isn't that a lovely observation? picture of sacher torte I had in Vienna. Yum! So, maybe, this will be my Julia year? I will be focusing on delight in all things, having fun, laughing. 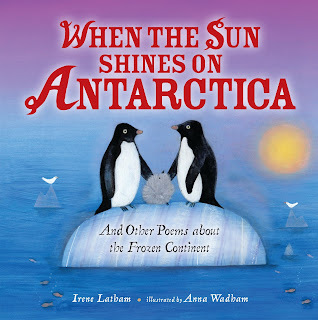 I do have two books coming this year... FRESH DELICIOUS: Poems from the Farmers Market and WHEN THE SUN SHINES ON ANTARCTICA: Poems from the Frozen Continent. Talk about fun! If any bloggers are interested in reviewing either of these titles, I would be delighted to request a review copy. Please email me! 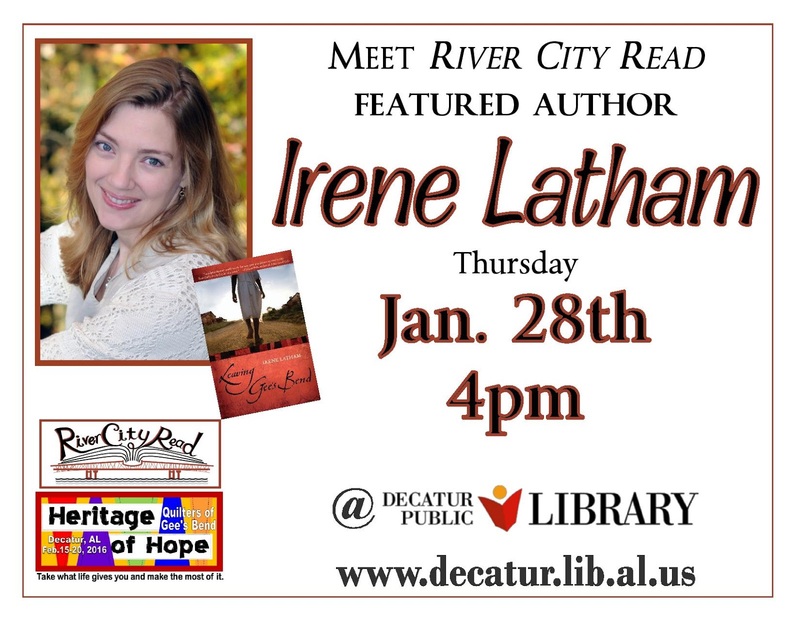 irene (at) irenelatham (dot) com. Hello! Happy New Year! And Happy Poetry Friday! (Happy, Happy!) Be sure to visit Mary Lee at A Year of Reading for Roundup and join Mary Lee and Franki's celebration of 10 years of blogging. Wow!! As if that wasn't enough to celebrate... guess what? Multicultural Children's Book Day will soon be here --January 27, 2016! 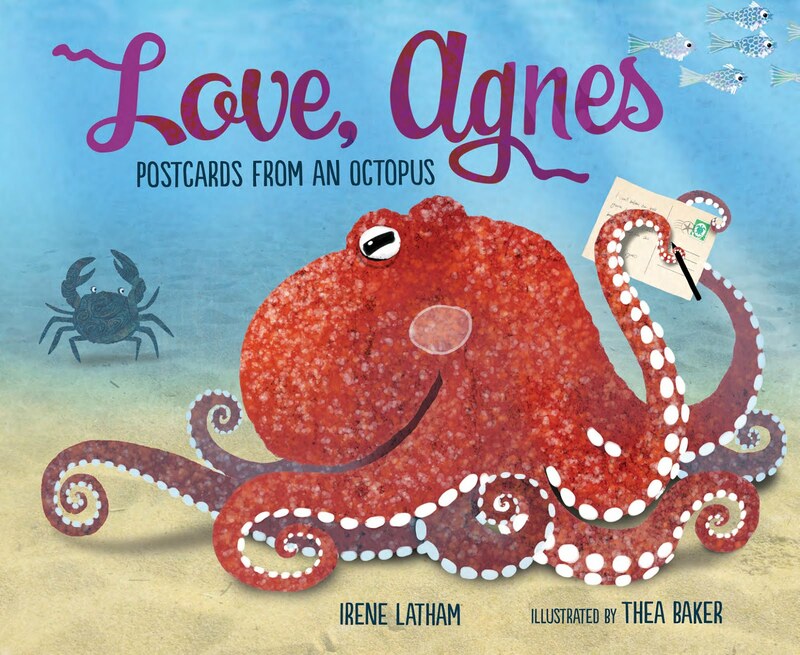 For the second year in a row I signed up to feature on my blog a review of a multicultural children's book. The linky will soon be live -- meanwhile, check out the website. 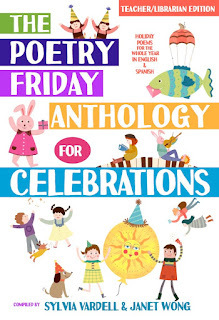 This year I was assigned a book that's near and dear to my heart: THE POETRY FRIDAY ANTHOLOGY FOR CELEBRATIONS, compiled by Sylvia Vardell & Janet Wong. 1. It's a book of poems! By some amazing poets. 2. Each poem is presented in English AND Spanish! 3. 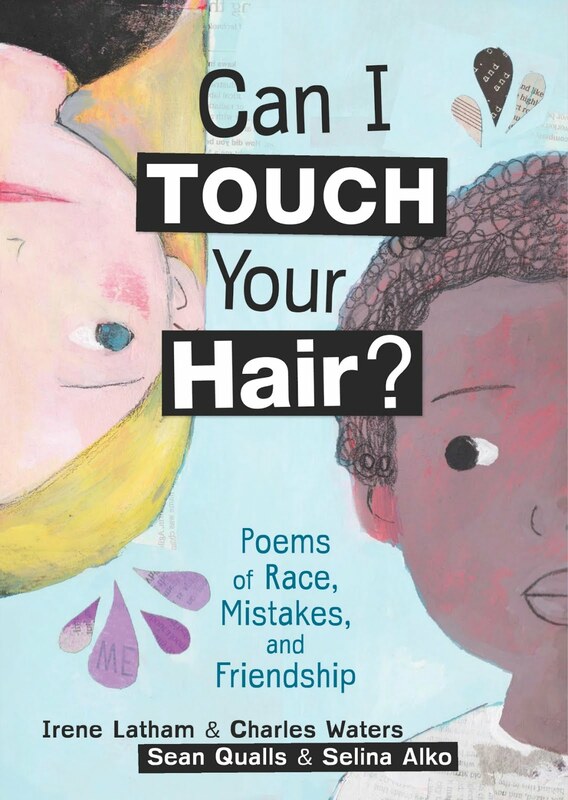 The poems celebrate silly holidays and serious holidays, in a (world)wide range, like Asian Pacific Islander Heritage Month and Gay Pride Day and End of Ramadan and National Braille Literacy Month and National Cookie Day-- no matter who you are or when you pick this book up, it's got something for you. 4. 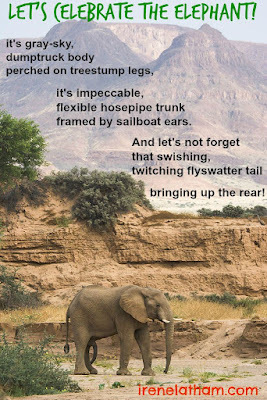 I happen to be a contributor -- my poem "Let's Celebrate the Elephant!" appears in the September section for August 12, World Elephant Day. 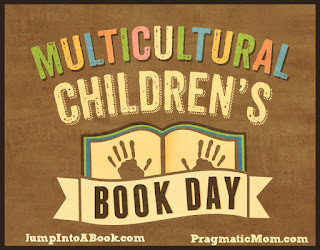 What is Multicultural Children's Book Day (MCCBD)? Audrey Press. You can find a bio for Mia and Valarie here. Look for the hashtag#ReadYourWorld on Twitter and other social media! MCCBD wouldn't be possible without these amazing sponsors!! 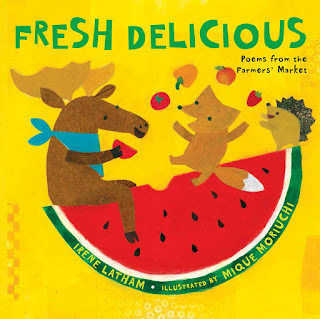 Multicultural Children’s Book Day also has 12 amazing Co-Host and you can view them here. Teachers! Earn a FREE #Multicultural Kids Book for Your Classroom through MCCBD's Classroom Reading Challenge!
. This very special offering from MCCBD offers teachers and classrooms the chance to (very easily) earn a free hardcover multicultural children's book for their classroom library. These books are not only donated by the Junior Library Guild, but they are pre-screened and approved by them as well. end of official business! 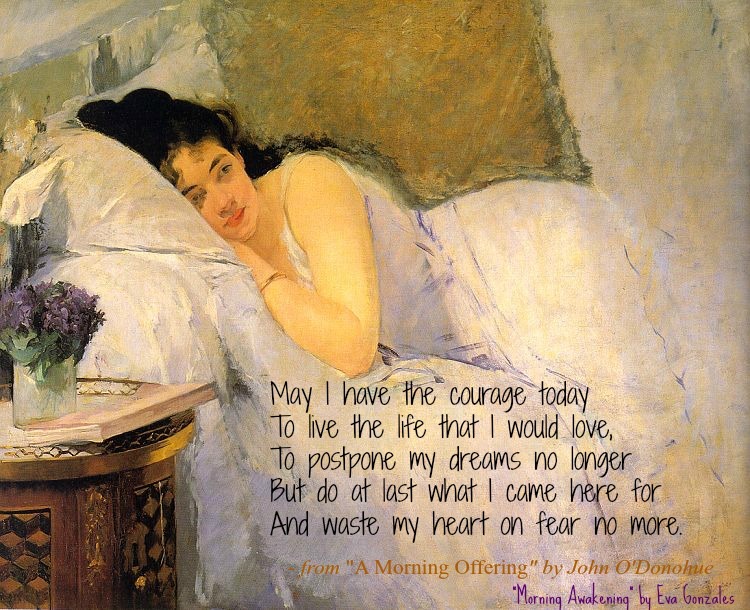 Now for the perfect poem for today, from the opening pages of THE POETRY FRIDAY ANTHOLOGY FOR CELEBRATIONS. 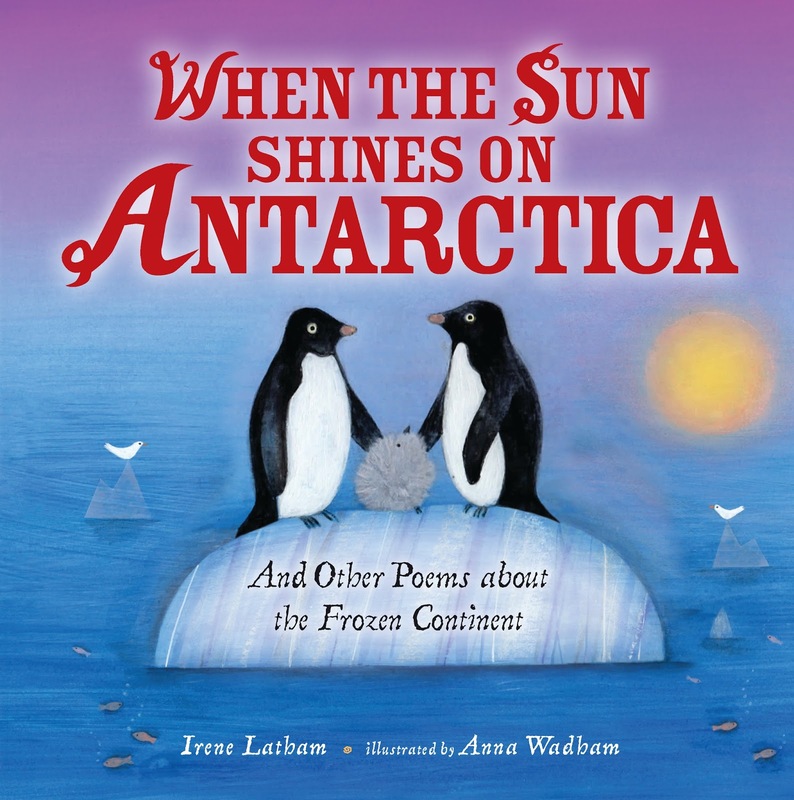 Find additional curriculum connections and picture book pairs at PoetryCelebrations.com. 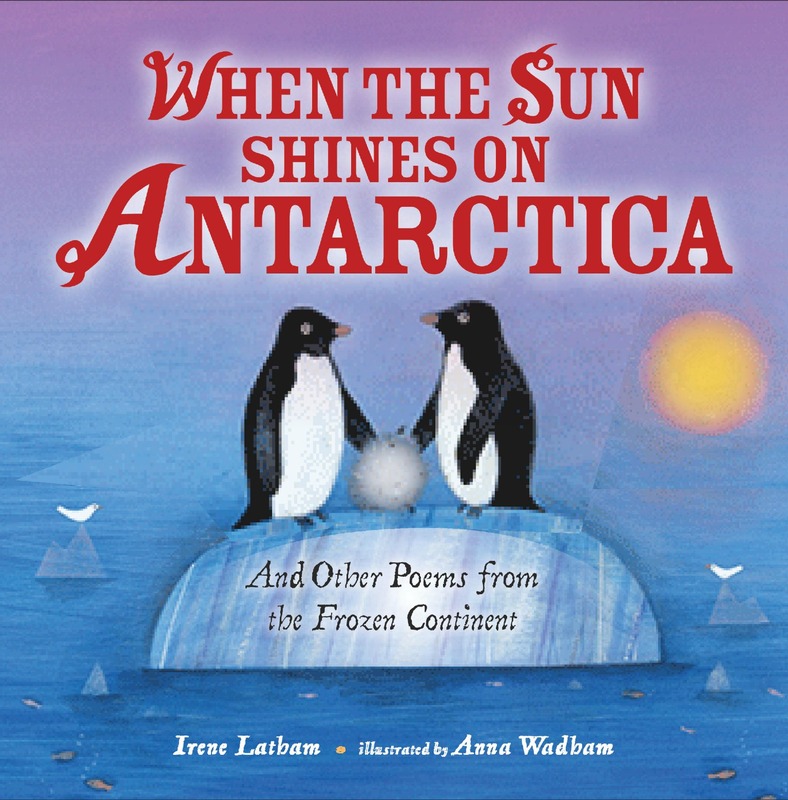 Thank you, Janet and Sylvia, for providing a book of poems so unifying and useful and fun! New stars to earn? totally out of my control, but who knows? The sky is wide! Awaken to the wonder of your life." New loves? oh, yes, keeping myself open and eager for this to reveal itself! New facts to know? I recently picked up a book at a thrift store called Eloquent Animals. It's about animal communication. What about you?? Any new hopes, new prayers, new loves, new cares to share?